You can’t fly over Area 51. That’s the rule, even if you’re an Air Force pilot in a jet that’s running out of fuel. Find another runway; you can’t land there. 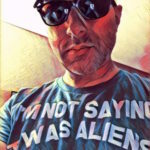 Private pilots who have mistakenly entered “The Box”—the restricted airspace over Area 51—have been “escorted” down by military jets, and there are tales of planes actually being shot down, as in this infamous call to radio host Art Bell in 1997. Drones? Now they’re banned too. We don’t just mean the remote-piloted planes the US uses in the Middle East to take out terrorists and wedding parties. We’re talking about the drone you got for your birthday, the one that can go a thousand feet up, the one with the GoPro attachment, the one that (if you’re in the US) you had to register with the FAA. Now that consumer drones are widely available, you knew someone was going to try and fly one over Area 51. We don’t have reports of anyone’s drone being shot down over the base, but that may just mean that the drone flight was successful. Or, maybe the base management realized what could happen and is merely being proactive. 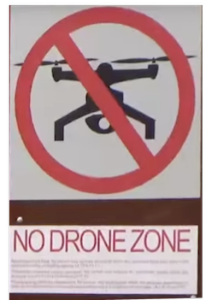 Some have suggested this new drone bad is strictly for safety: they do test aircraft (and probably other kinds of, ahem, craft) at Area 51, and the borders are patrolled by helicopter. A consumer drone flying out of control nearby could cause a catastrophe for sure. We don’t believe that’s the real reason for ban, though. The real reason: these drones have cameras mounted in them. Video cameras. Most consumer-grade drones can’t go 20-odd miles away from their remote controls, so one would need to be modified in order to reach the base. But it is within the realm of possibility. And if someone got a drone into base territory, some 500 feet up, the drone could take some nice pictures of things that are not supposed to exist. That is what Area 51 officials are afraid of. That is what prompted this ban. The nearest legal observation point to the base is Tikaboo Peak, and, being public land, there is still no drone ban there. Our friends over at Finding UFO ventured out to Tikaboo and took some footage from their drone, which they posted to their excellent YouTube channel. Check it out below.